U.S. Rep. Mike Coffman has proven twice now that he can win, and win big, in Colorado’s most competitive congressional district. 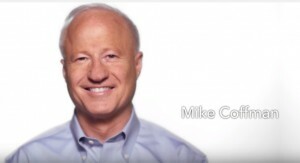 Not only does he have broad appeal, but there is no one who works harder on the campaign trail than Mike Coffman. We pity any Democrat foolish enough to think they have a shot against him. The six-figure effort — AFP would not release the exact cost — is aimed at undermining Carroll in what is likely to be Colorado’s closest race for a U.S. House seat, and it drew an immediate rebuke from her team as a sign that Coffman was struggling. AFP is surly just one of many third party groups that will be getting involved in this race, but they given their great ground operation and track record of success in Colorado this investment is a good sign for Coffman not one that he’s struggling. Sorry, Team-Carroll, but that’s the worst spin we’ve heard in a while. So even though Dems try to make it seem like a “bad” thing that the Koch brothers-backed AFP is supporting Coffman, it’s only because this massively helps his campaign. Plus, who is Carroll to criticize big money in politics? It’s not like she’s the next Bernie Sanders, her biggest cheerleaders are the trial lawyers. « ROBBING CO HOMEOWNERS TO PAY PERLMUTTER: Will Democrats Return Their Ill-Gotten Gains?